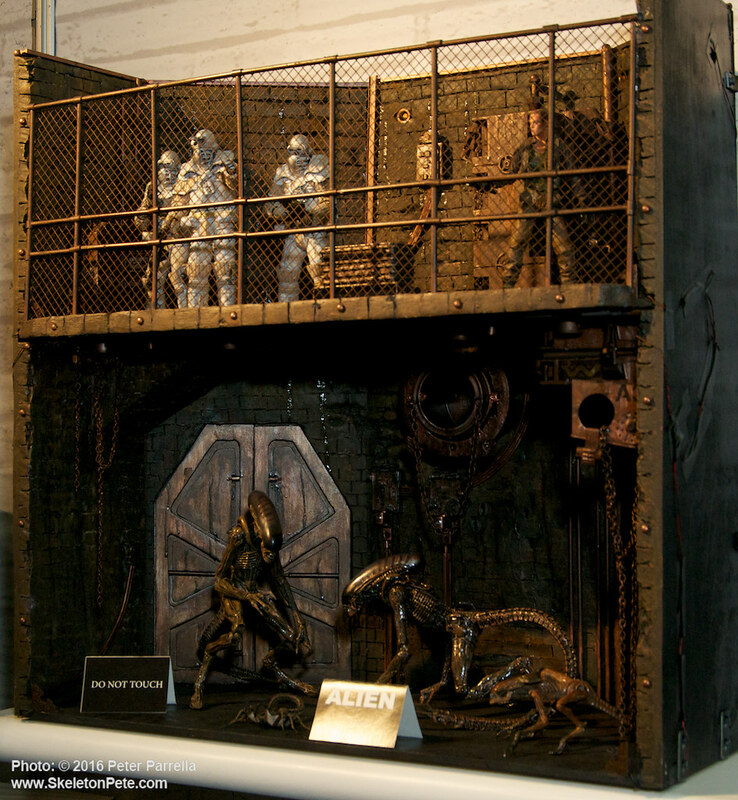 Even through a fairly rocky series of sequels, where James Cameron’s Aliens jettisoned suspense for Big F*n Guns, Alien 3 suffered from a protracted story development, followed by equally fudged Predator co-minglings, a love for the core idea survived in the imagination of the general public. 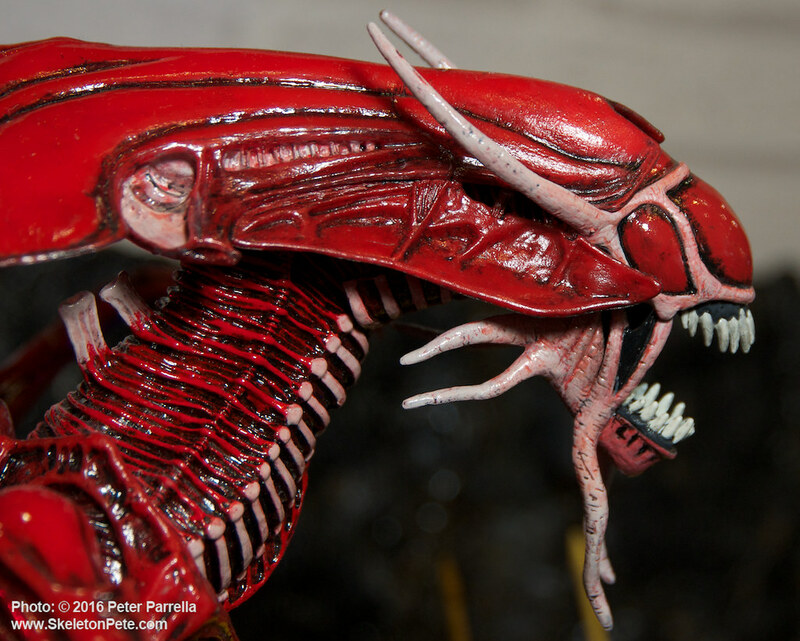 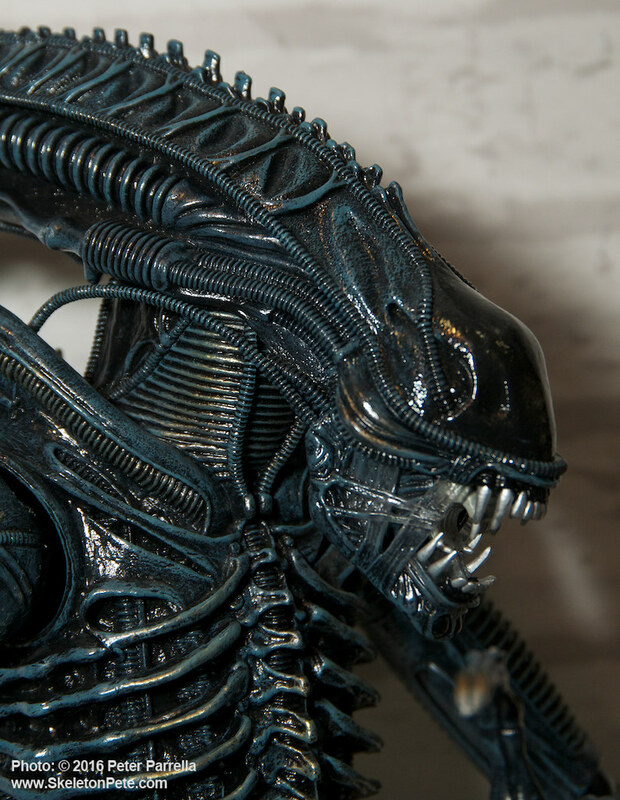 We’ve seen all manner of alien inspired merchandize has been rolled out, from cuddly face huggers to xenomorph cookie jars in the ensuing years. 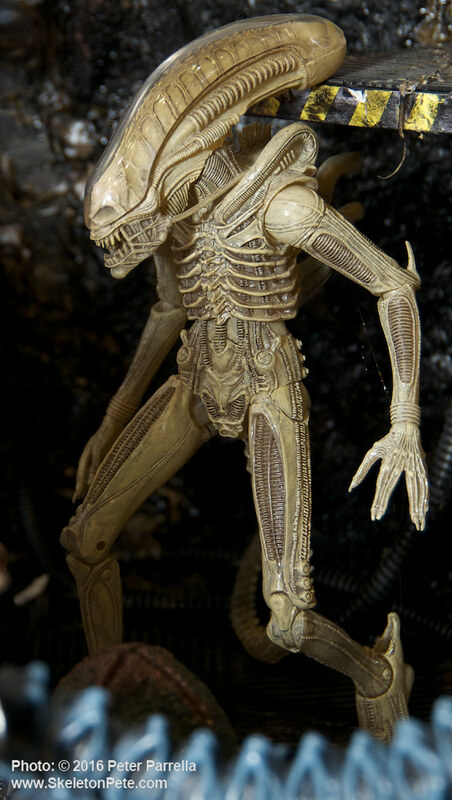 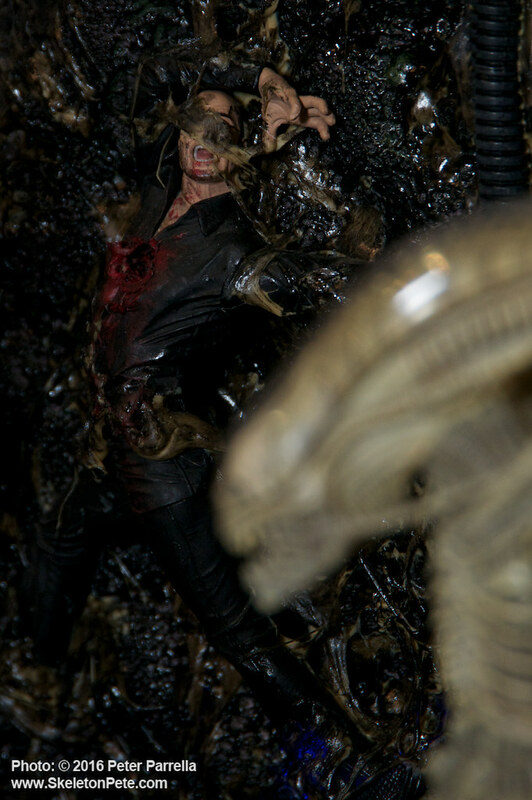 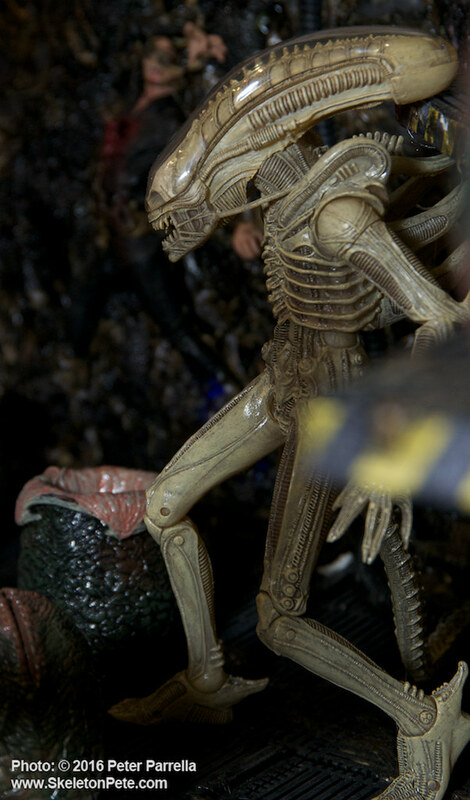 Based on the Alien Prototype suit, this is another one of my favorite NECA figures. 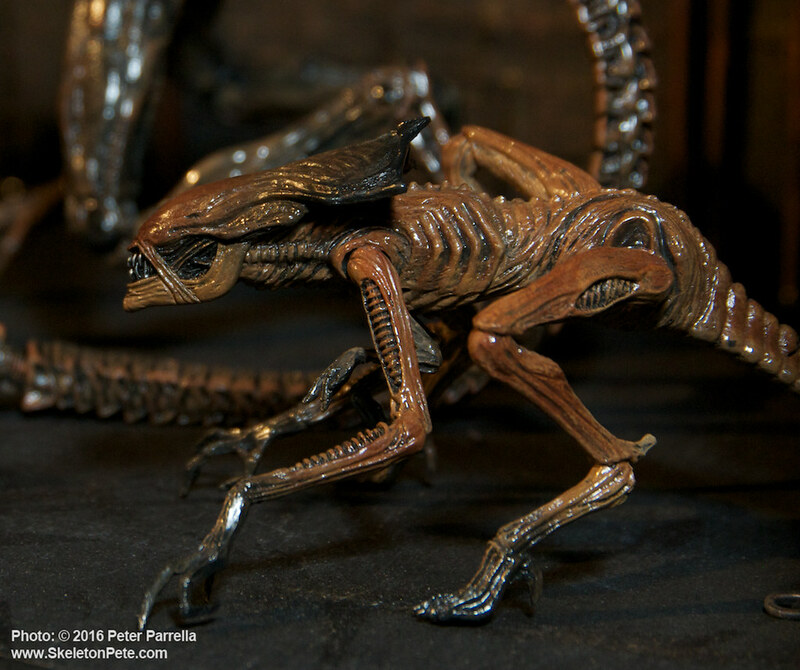 So, as the map designation of the moon Archeron – from whence we first encountered xeno life forms – is LV-426, this 26th day of the 4th month of the year becomes a calendar driven excuse to celebrate all things Alien. 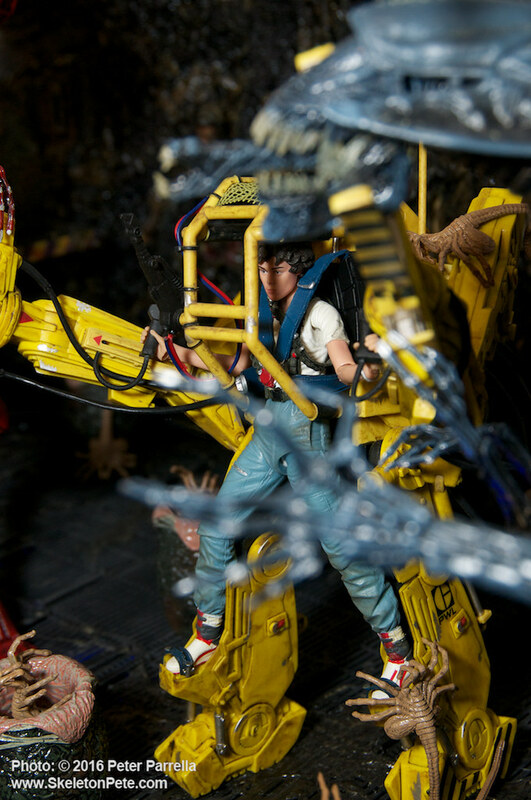 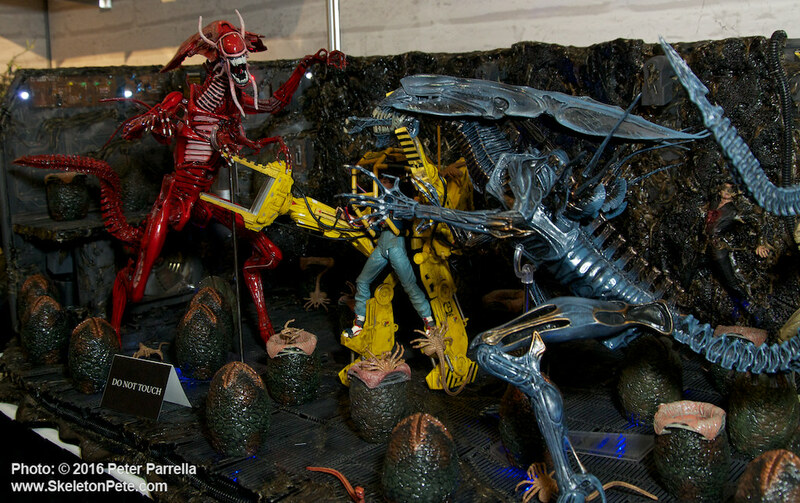 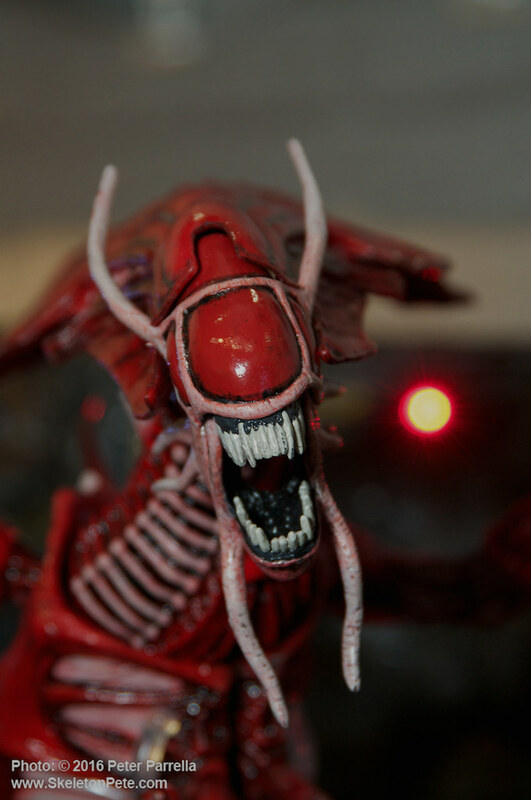 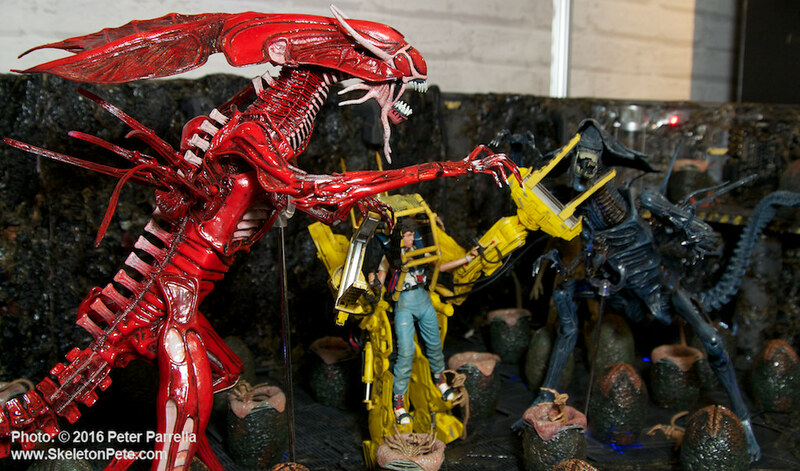 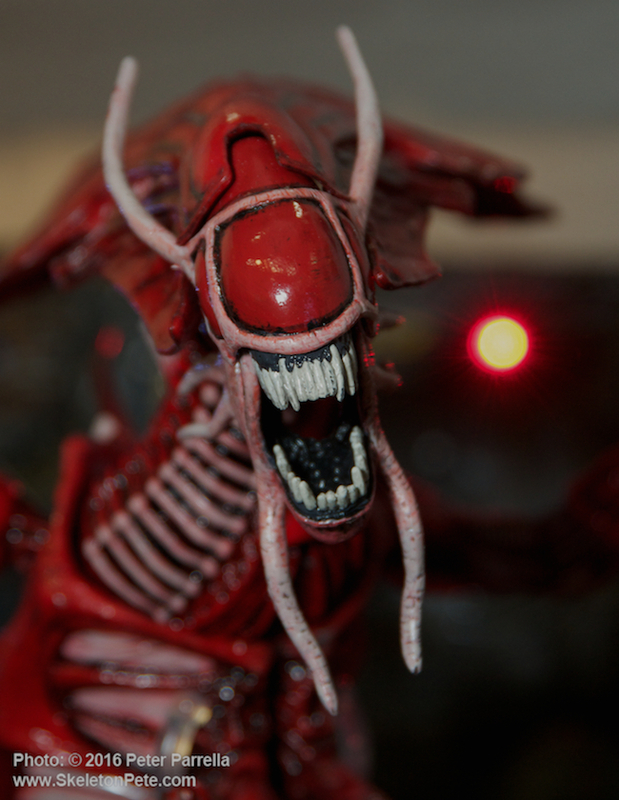 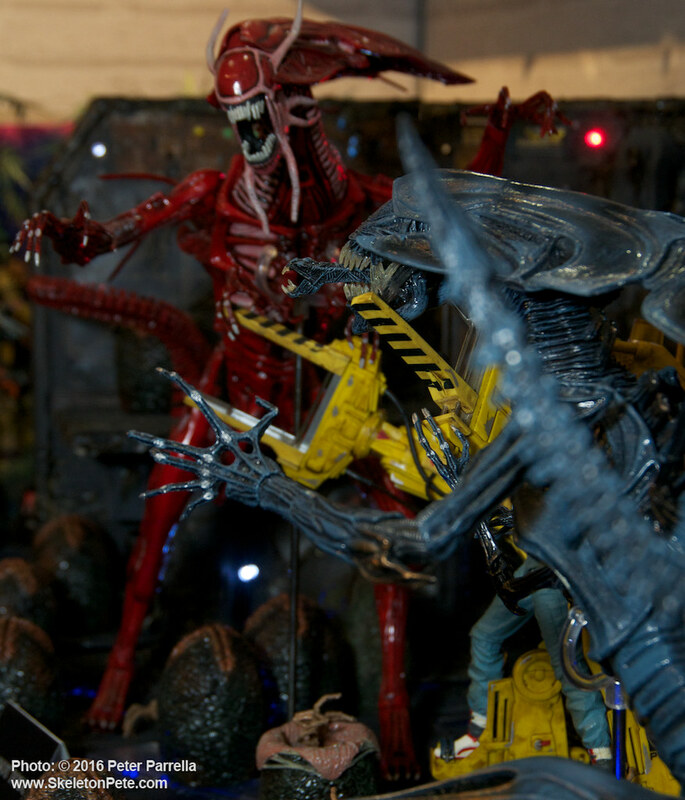 Fine by me as a great excuse to post this gallery of images from NECA Toys‘ always creative American International Toy Fair displays. 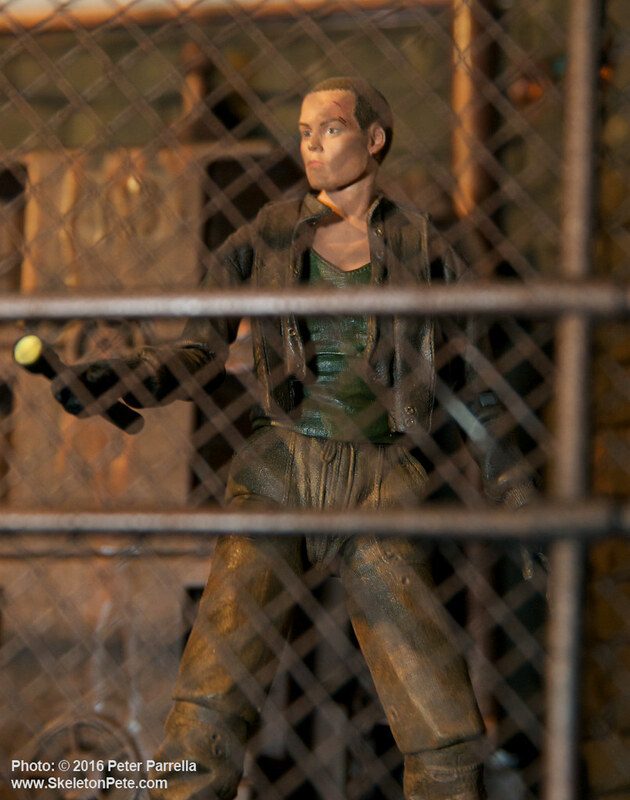 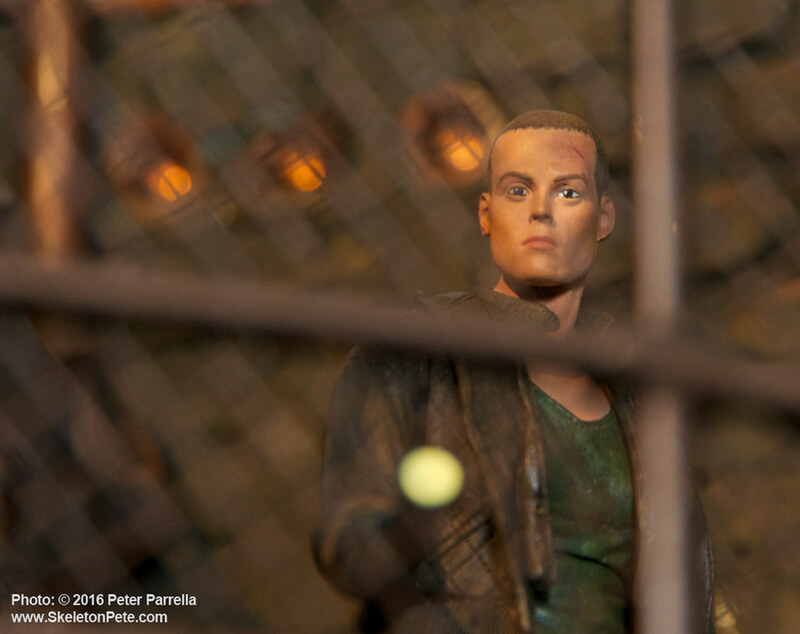 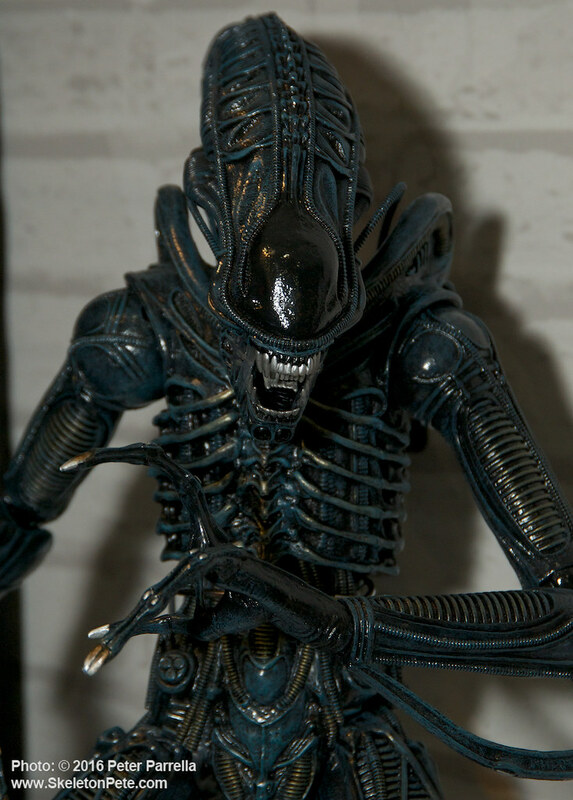 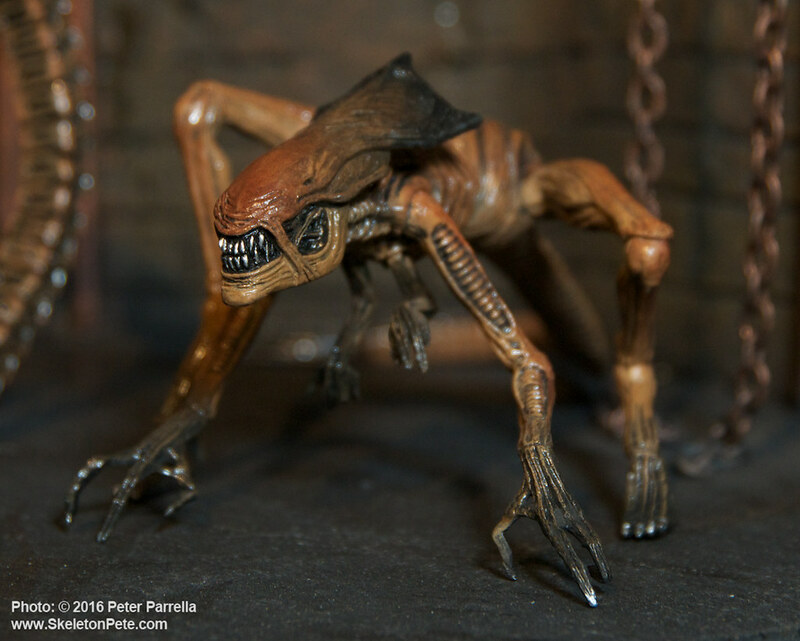 NECA has also released a special Alien Day Kenner Tribute Ellen Ripley Aliens figure for the 426 occasion (yes with a really BFG) and you can see the company’s official photos of her by clicking here. 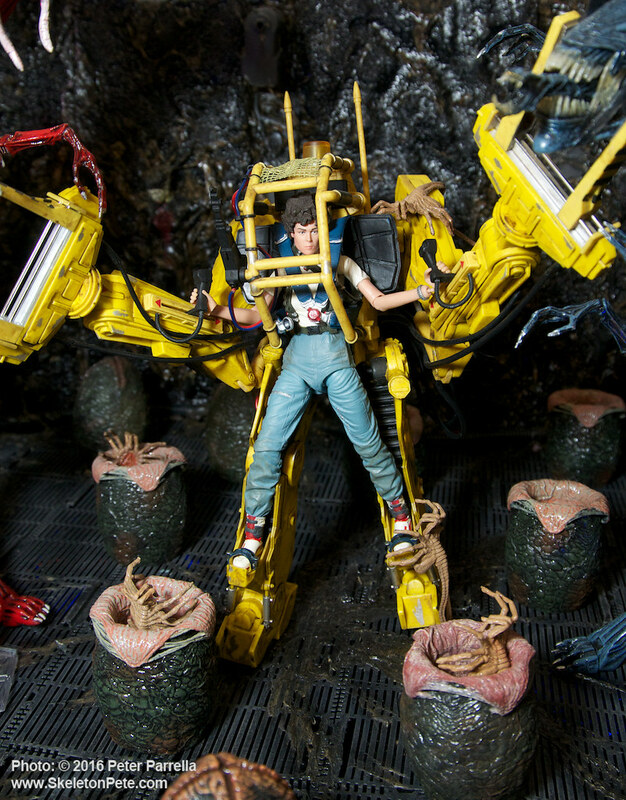 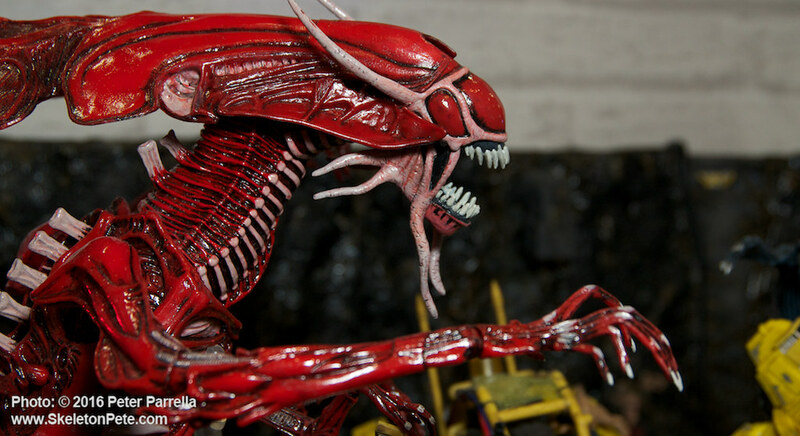 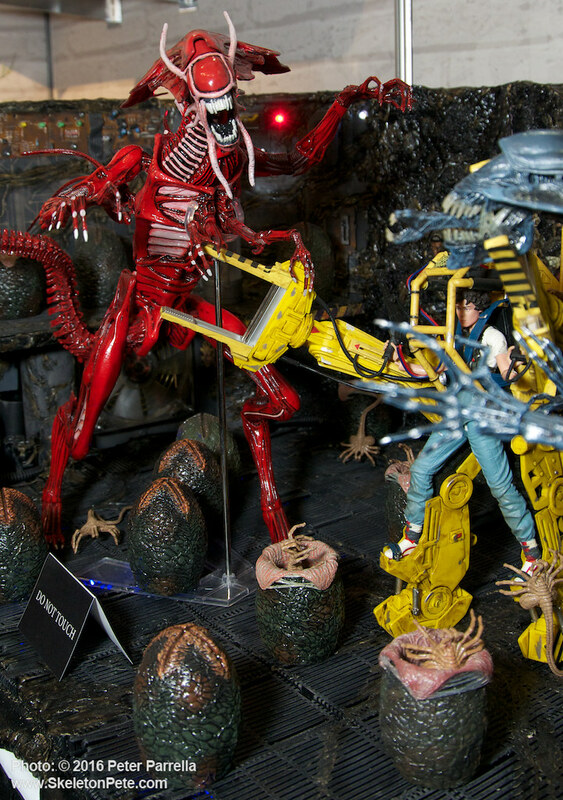 Cinemachines are NECA’s new line of movie inspired collectibles. 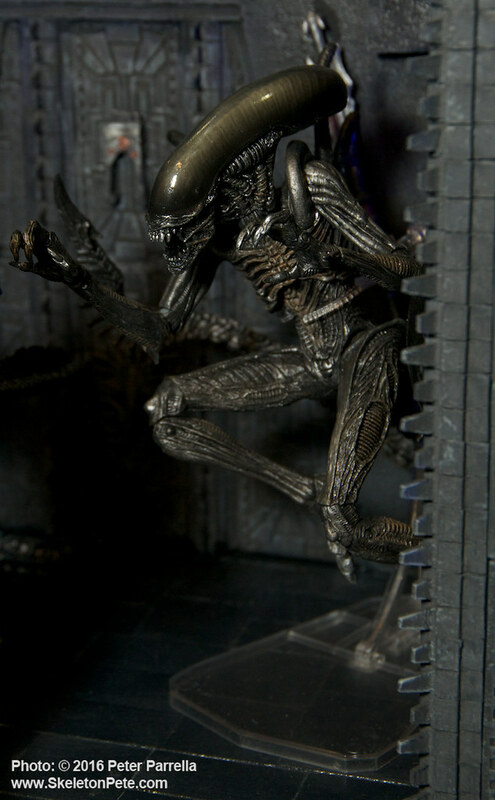 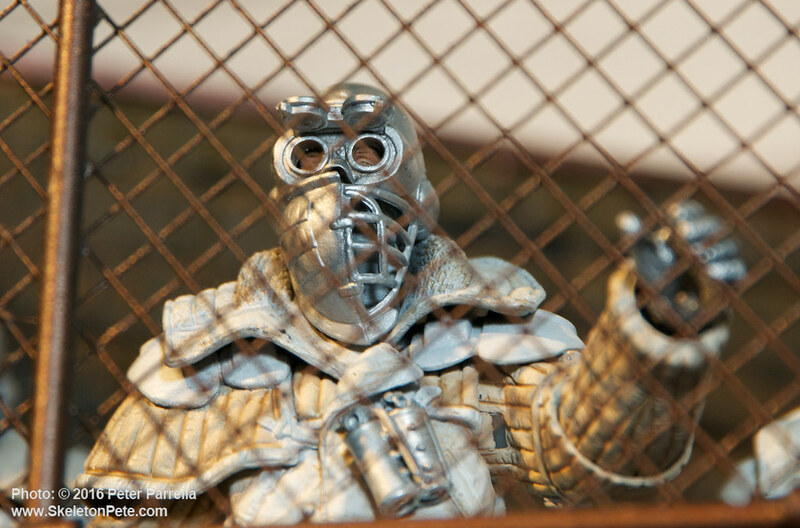 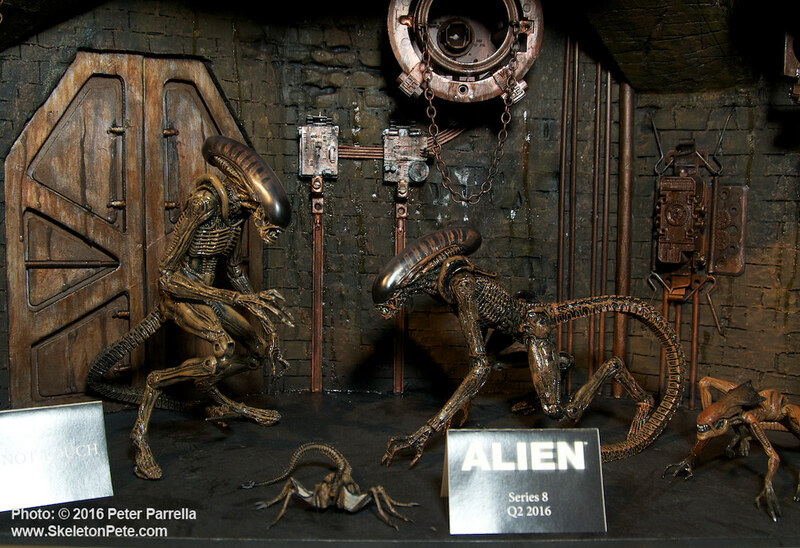 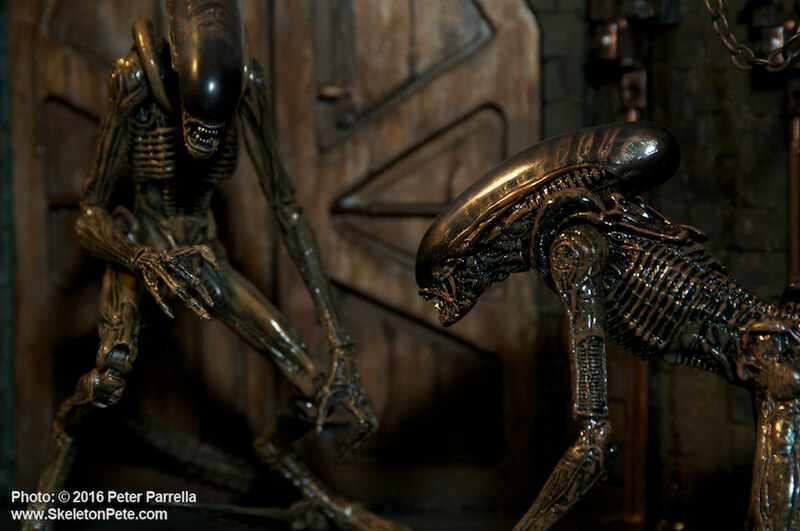 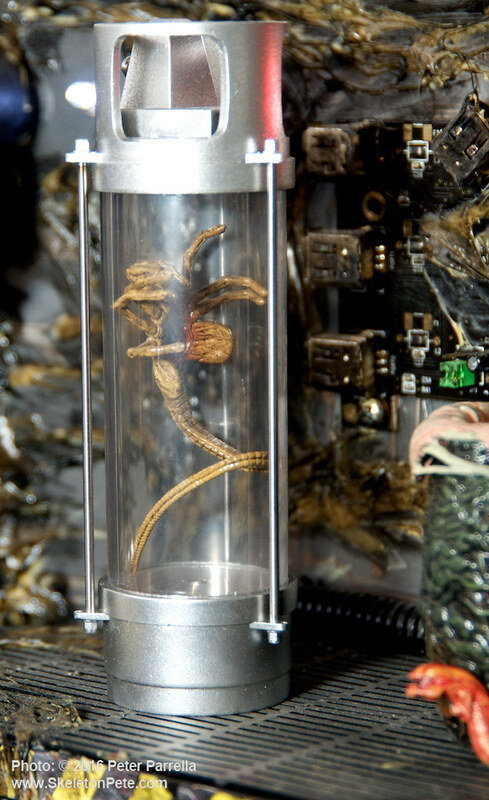 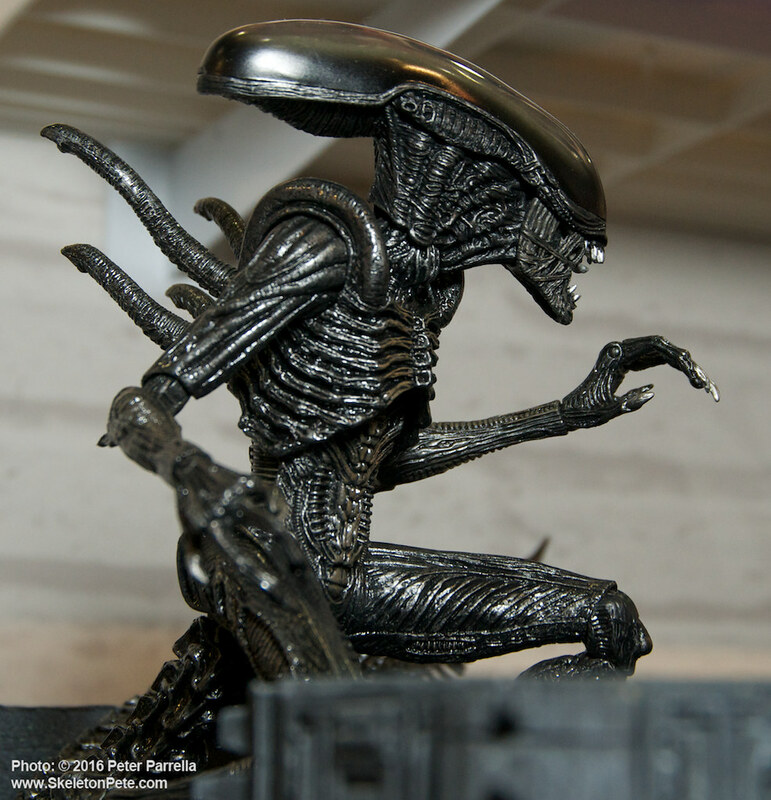 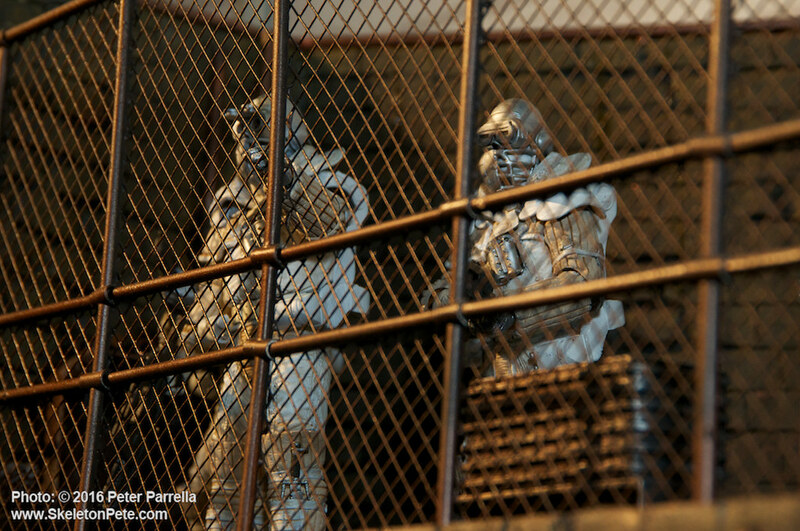 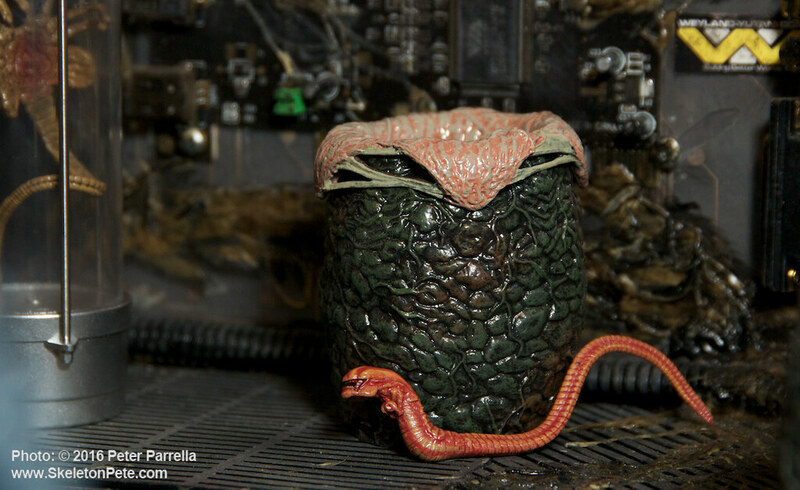 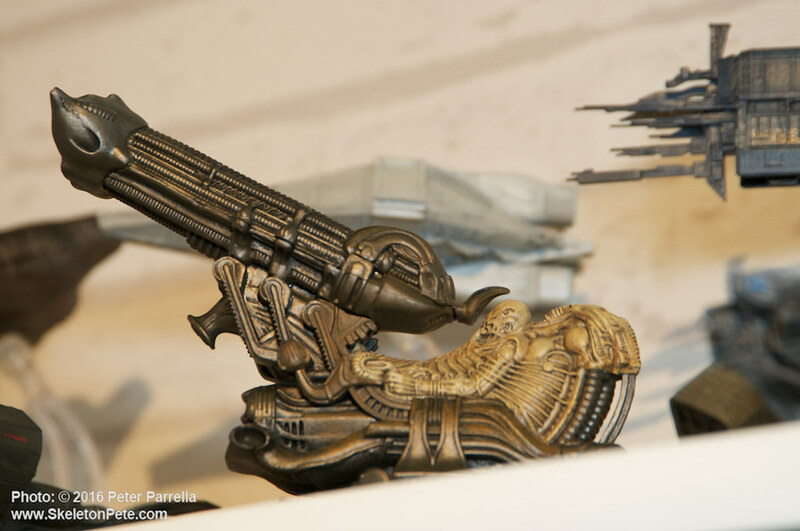 I’m particularly enamored with the “Fossilized Space Jockey” of NECA’s newest collectible line called Cinemachines. 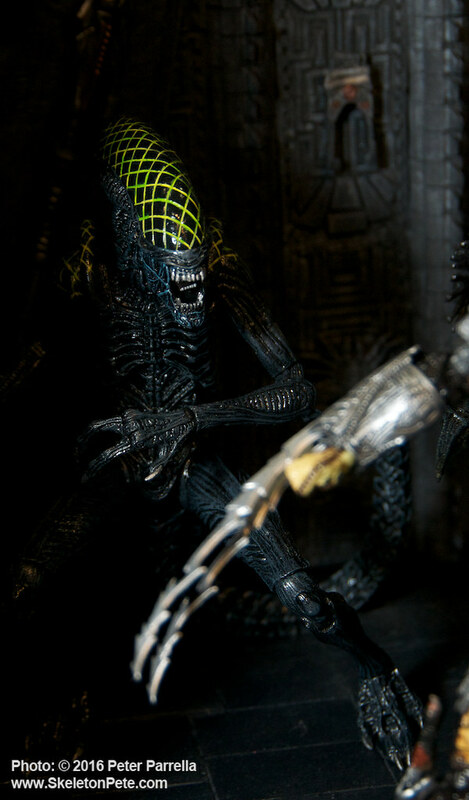 The first series includes all things Alien(s) and is set for release this week. 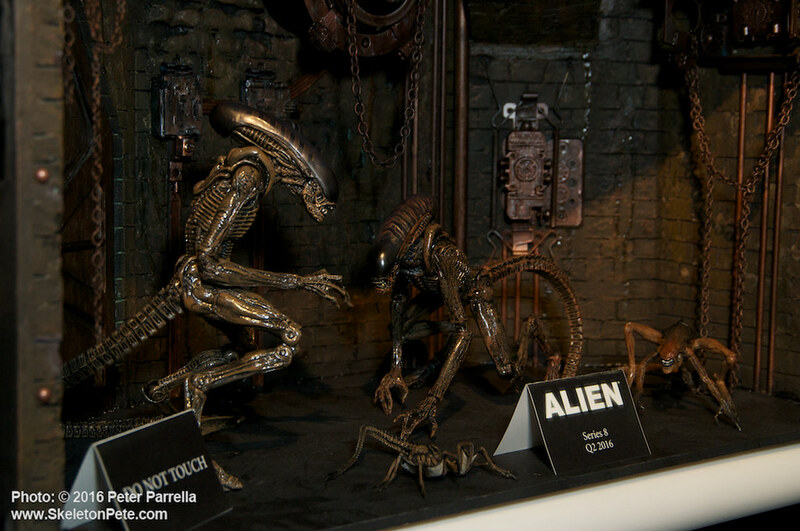 Each 5-6 inch presentation piece is created in die-cast metal and is hand painted. 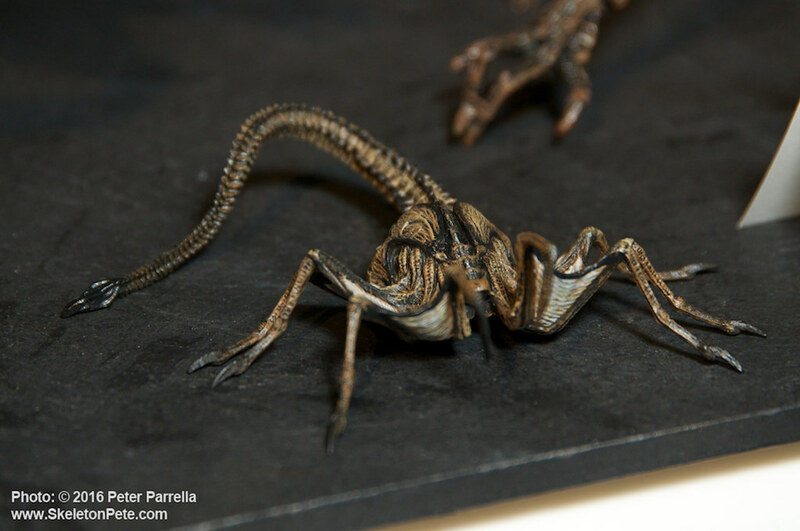 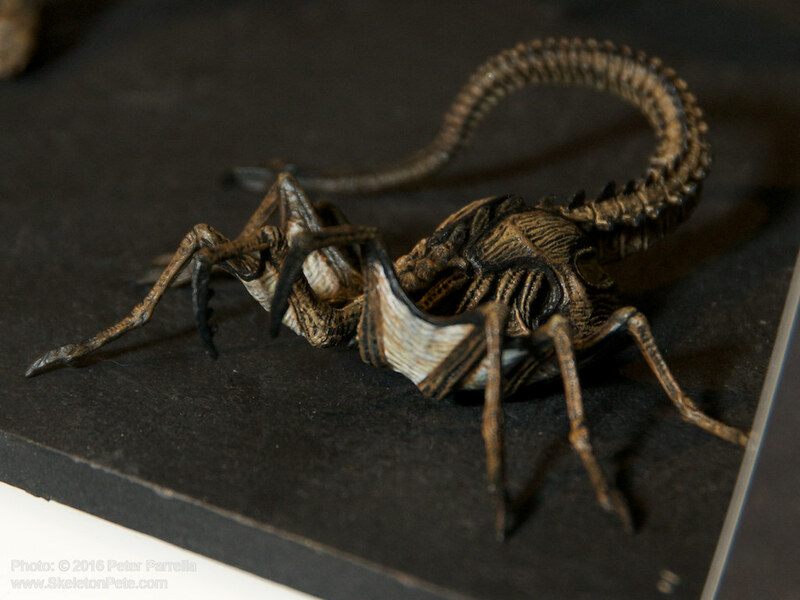 Clearly a wonderful desktop memento for the Alien fan in your family.